Custom building is a phenomenon that has revved up interest in recent years. 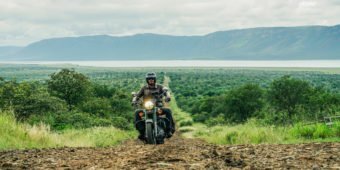 No matter where you are in the world, there's a huge range of restomodded classics or brand-new bikes with neo-retro style. 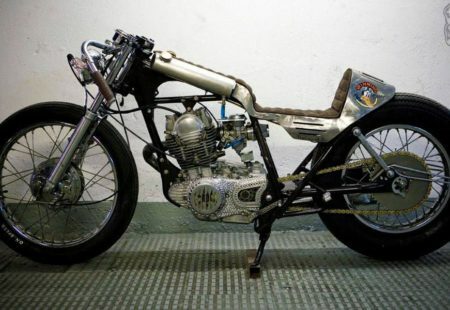 Here's a whistle-stop tour of our favourite custom builders around the world! 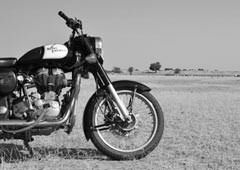 These days, young bikers look for a combination of style and a pleasurable ride. We like to get involved in the building process so we end up with a motorcycle that really represents us. By creating a unique ride, we can truly express our personality. We can take our trusty bikes and turn them into works of art. 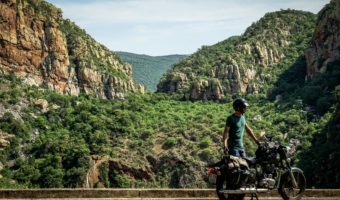 The whole biker ethos has evolved in recent years, becoming a lifestyle in itself. There's a huge custom building community, both online and offline. 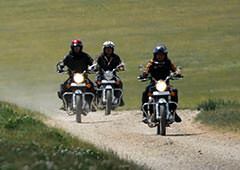 And the best way for like-minded enthusiasts to get together is by going to motorcycle events. 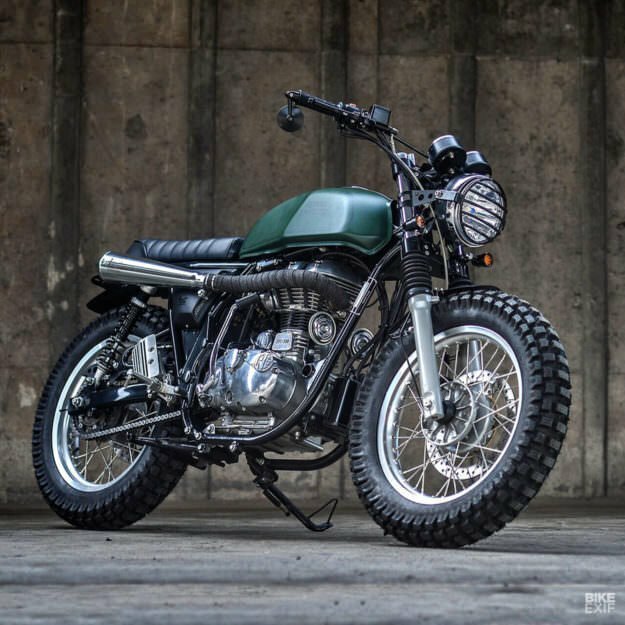 In Europe, several events celebrate all things custom building, such as Bike Shed (UK) or Wheels & Waves (France), and both have a fantastic mix of old restored bikes and new builds on show. Everyone can exchange the latest on accessories and admire the work of genius builders. All the big manufacturers are catching on to this trend and realise that they need to collaborate with builders or they're going to get left behind. 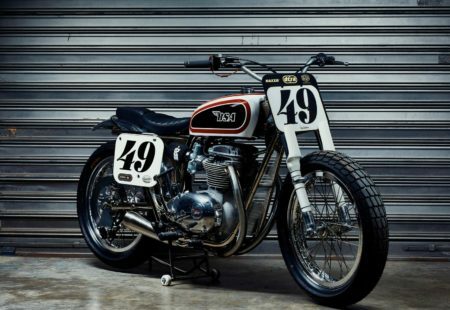 Nowadays, no matter where the manufacturer is from, nearly every motorcycle gets the custom treatment, turning them into stunning rides. How could we not mention this Australian giant? Deus Ex-Machina is a main player in the international custom motorcycle movement. 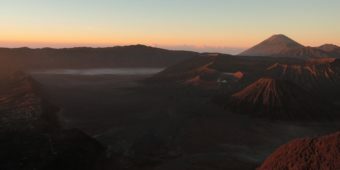 By using the casual world of skating and surfing as a crutch, it created a culture that became a roaring success all the world over. 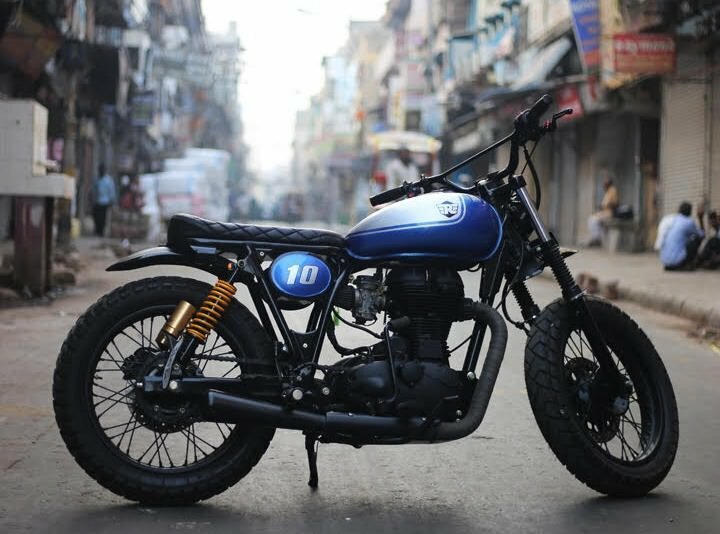 Its niche is customising small, reliable bikes that are easy to handle, making riding accessible to everyone. It also has cafés, a clothing and accessories line and of course a garage. 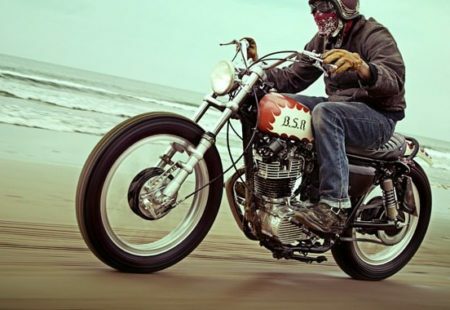 Founded in 2005, the Deus culture has cooked up a storm all over the globe, with concessions in Sydney, Bali, Milan, Los Angeles, Tokyo and Biarritz. 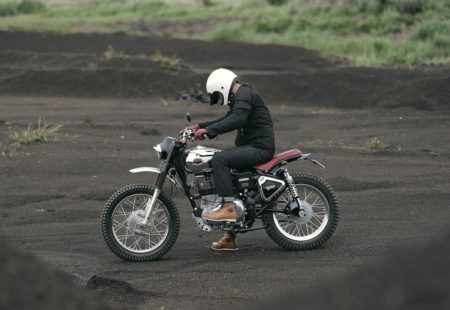 Deus is considered to be a bit like an "Ikea for motorcycles" where marketing and openness go hand in hand. The make funds its building projects thanks to its clothing store sales. 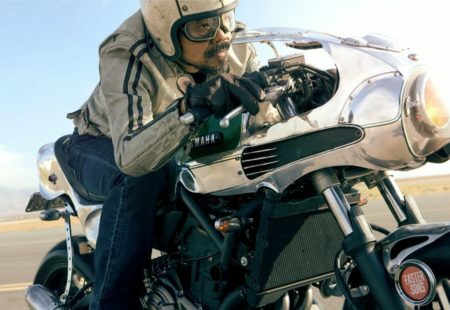 Even if its "lifestyle" concept goes way beyond the biking world, Deus does make beautiful rides, and that's all that counts. 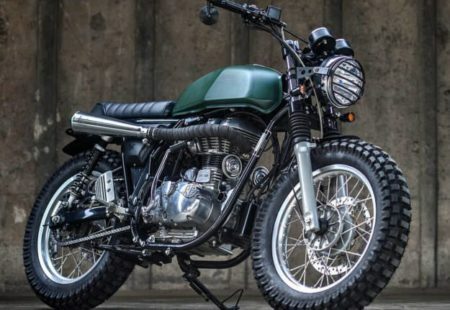 The "Japanese Steve McQueen" has inspired a whole generation of custom builders. About 20 years ago, he invented Brat Style, a brand that became a style in its own right. 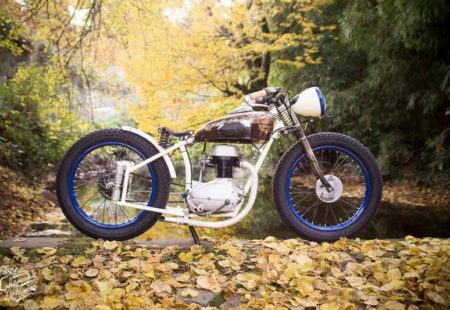 Historically located in the heart of Tokyo, Go Takamine has opened a second Brat Style garage on the West Coast of America. 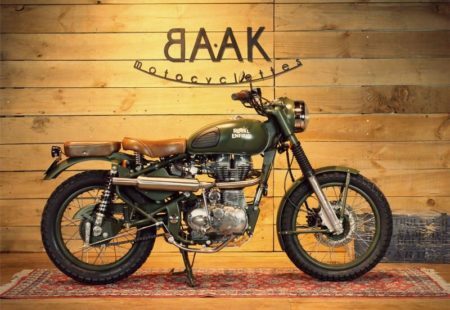 We love their vintage off-road style bikes because they're plain and simple, with no need for bells and whistles. 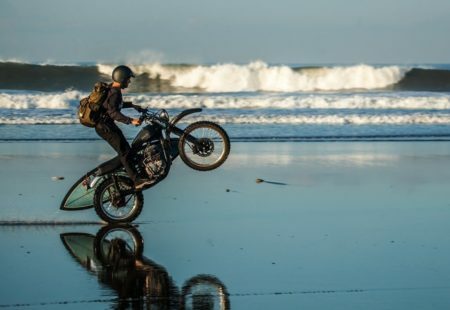 In the world of café racer builders, Spanish artist David Borras, AKA El Solitario, is known for his special artistic approach, which is as raw as it is elegant. No one builds bikes like him! Originally from Brooklyn, Max Hazan is an engineer, designer and craftsman extraordinaire. He only builds out-of-this-world bikes, looking after the smallest of details to create unique rides. 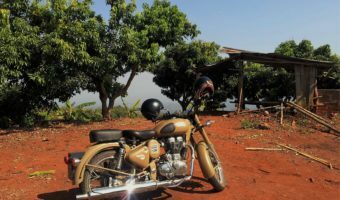 He has won several competitions, the best-known being for his creation The Musket: two Royal Enfield 500cc singles machined to create a 1000cc V-Twin. He unveiled Musket II last spring. A little like his American counterpart, Shinya Kimura is a top-class mechanic. His builds' quality, the sophisticated materials, his well-established name and craftsmanship are nothing short of genius. This Japanese builder is known for his minimalist philosophy, his unique style and strong personality. OEM is one of Europe's finest builders. Alec Shar, a young British master builder is inspired by Britain's cultural heritage. He offers refined designs for a distinguished gentleman type of look! 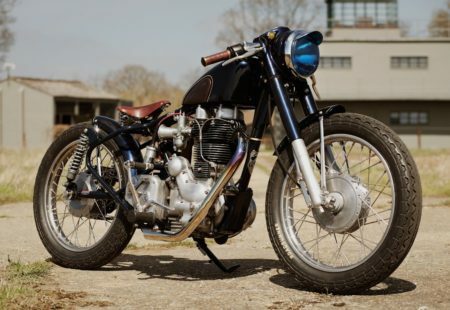 All British-motorcycle enthusiasts have heard of Chatokhine, a vintage motorcycle restorer located just outside Chartres. 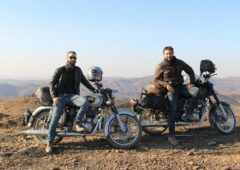 Roland Chatokhine passed all his English motorcycle mechanics know-how and experience on to his son Frank, who is now in charge of the garage. An outstanding mechanic, gifted with the same passion as his father, he is also a Vintage Dirt Track champion. It's almost impossible to find such a great mechanic shop in this day and age, giving real kudos to classic British builds. 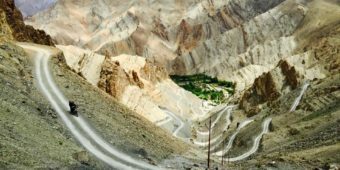 A motorcycle part craftsman, the builder from Lyons offers to customise your ride by creating made-to-measure parts for your Triumph, Guzzi, Royal Enfield, and more recently, BMW NineT. Using high-quality materials, the team revives an elegant retro style on new models. 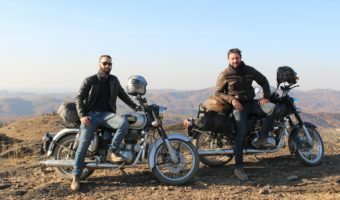 A Vintage Rides partner, the team has built us a bike that reflects our tours, made for exploring. 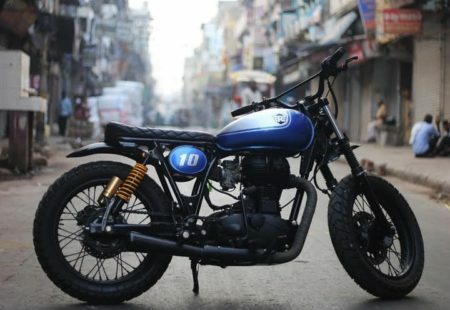 One of our riders, Alexis Charton, owns another model created by them, the magnificent Royal Enfield Scrambler, a ride with character and style, compatible with adventure. 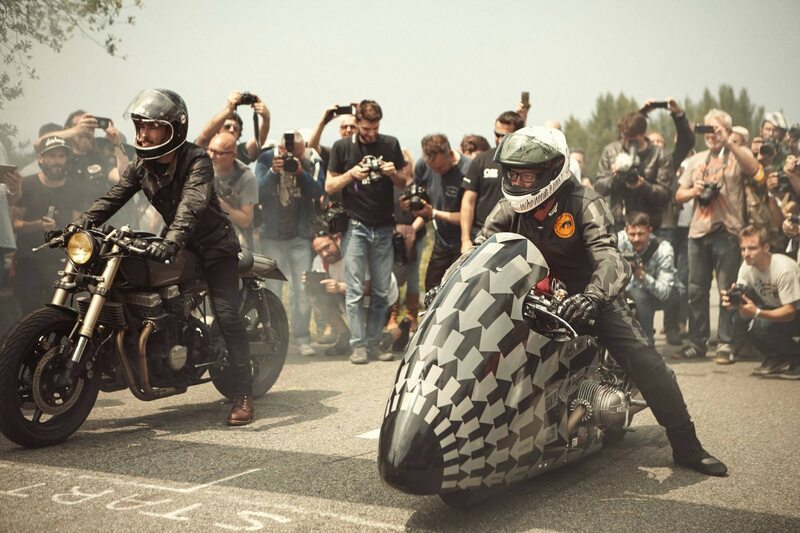 Manuel and Yann are two guys from Brittany who build tailor-made motorcycles that they usually exhibit at Wheels & Waves and Café Racer Festival in France. Like other garages, they also offer routine maintenance work and sell parts and accessories. 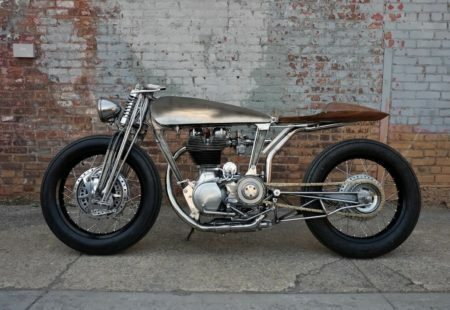 Never scrimping on quality and originality, they scooped bronze at the 2016 AMD World Championship of Custom Bike Building in the "Café Racer" category.